We’re still clearing the cobwebs out of our website, but as with most things these days, you can find a bunch of us on Facebook. Please join the Hawaii Association of Podcasters group and introduce yourselves. Let’s see where the next ten years takes us! 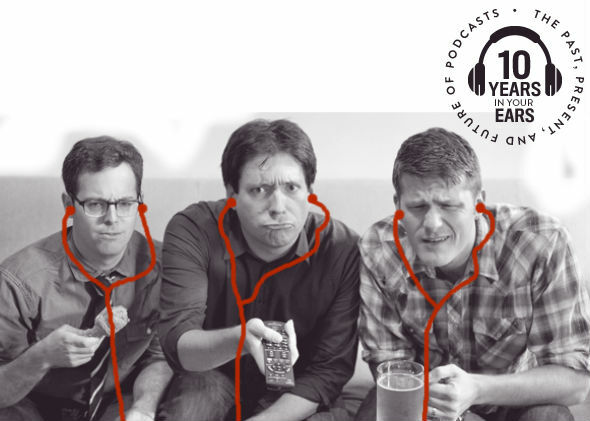 Check out “Ten Years in Your Ears,” an extraordinary series of articles from Slate marking ten years of podcasting. Podcasting is an overnight success after years of work. Not 35 years; only a single decade has passed since this Guardian story used the new term podcasting. The medium was briefly the hot new Internet star (Word of the Year 2005!) and was then quickly eclipsed by YouTube, social media, Farmville, and a thousand other new new things. Now weâ€™re told podcasting is back, a resurgence complete with a flurry of press attention, new companies jumping into the space, and that precious commodity the Internet bestows and rescinds in mysterious waysâ€”buzz. PodCamp Hawaii is coming, October 24-25, 2008. Whether you are new to blogging and podcasting or an expert, you will discover a rich world of warm, friendly, smart people and will be able to network with some of the internetâ€™s most forward thinkers. Remember though, this is an UnConference! That means the sessions are all free and anyone can speak. There is no top-down style, and there is just as much going on â€œin the hallwaysâ€ as in the sessions. Be prepared for incredible learning, dialog, and networking as hobbyists, professionals, educators, musicians, ad execs, govâ€™t agencies and nonprofits all come together to learn, share, show, and tell. The first annual Vloggie Awards Sponsored by Pod Tech were held in San Francisco on November 4th and Hawaii’s very own Beach Walks With Rox took home 3 awards. Beach Walks received a Judge’s Choice for Best Inspirational/Spiritual videoblog. The general public was also able to vote via the Vloggies website and awarded a People’s Choice award also for Best Inspirational/Spiritual as well as Best Entertainment (Non Fiction) award. Roxanne of Beach Walks With Rox was on hand at the ceremony to receive the awards and in keeping with the videoblogging lifestyle shot one of her daily shows before and after the show. A full list of the Judge’s Choice and People’s Choice award winners are also available. Local podcasters, would-be podcasters, and podcast fans are invited to join the Hawaii Association of Podcasters at a friendly pot-luck gathering on Saturday, Aug. 26. It will be hosted by HAP co-founder Bob Lew in Kalani Valley (just past Kahala Mall heading east), from 12:30 p.m. to 4:30 p.m. at 1591 Kalaniuka Place. Join the mailing list to introduce yourself, let us know you’re coming, and what you’re bringing! Hawaii Political Watch  Hawaii Political Watch is a weekly look at the political scene in Hawaii with Art Harris, founder of Hawaii Election Watch. LavaNet `Ohana Podcasts  Podcasts by LavaNet and friends. Staff biographies, Tech Tips, and Gamers’ Roundtable. The Golf Club Radio Show  The Golf Club Radio Show is devoted to every part of the game of golf, and airs Statewide in Hawaii every Saturday morning. Hosted and produced by Danielle Tucker. Eric Rice  podcaster, videoblogger, longtime voxmedia evangelist and co-founder of HipCast  is in Hawaii and visisted with HAP members last night. On hand were Todd Cochrane, Vernon Brown, Eric Timmer, and Ryan Ozawa. Talk swirled around citizen media, Second Life, and a million other things, capped with a visit to the Ala Moana Apple Store. Todd, who has earned a bit of a reputation of an Apple critic, was spotted walking out with a brand new MacBook Pro. HAP member Vernon Brown of the 808Talk podcast has crossed into the next dimension of video with 808TalkTV. Be sure to check out other Hawaii-based video podcasters. NEW DATE: HAP member Gail Jennings of HawaiiDiner.com and the HawaiiDiner.com Podcast will join a panel of “new” and “traditional” media practitioners on Hawaii Public Radio’s weekly Town Square talk show, airing at 5 p.m. on KIPO 89.3FM on Thursday, April 13. Larry and Gail will sit with Jerry Burris, editorial editor for the Honolulu Advertiser, Ian Lind, investigative reporter and blogger, and Town Square host Beth-Ann Kozlovich. Tune in, and call in! The number is 941-3689 or (877) 941-3681 from outside Honolulu.